The Berringer dining room table incorporates decidedly rustic flair. 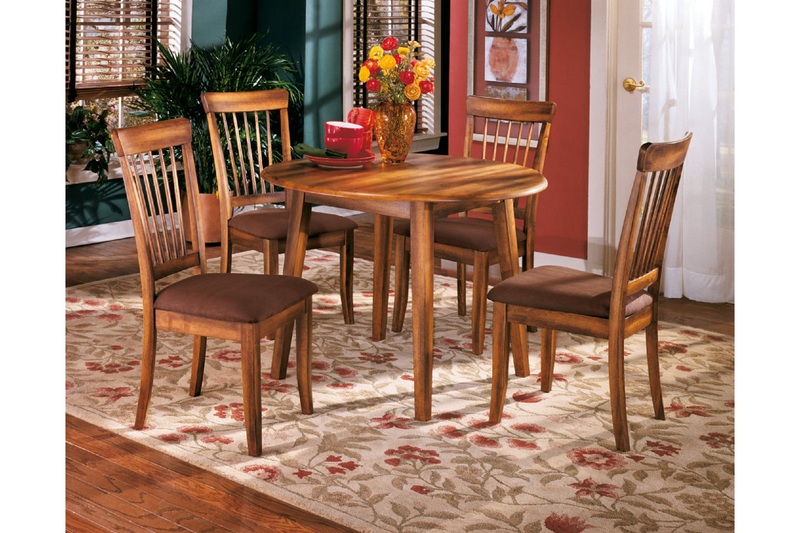 Two drop leaves provide just enough table space to accommodate the drop-in guest. Simple and clean lined, with stylish stilted legs, it’s a look that easily fits, whether your aesthetic is vintage, country or traditional. Table depth with one leaf: 34.00"
Table depth without leaves: 26.00"